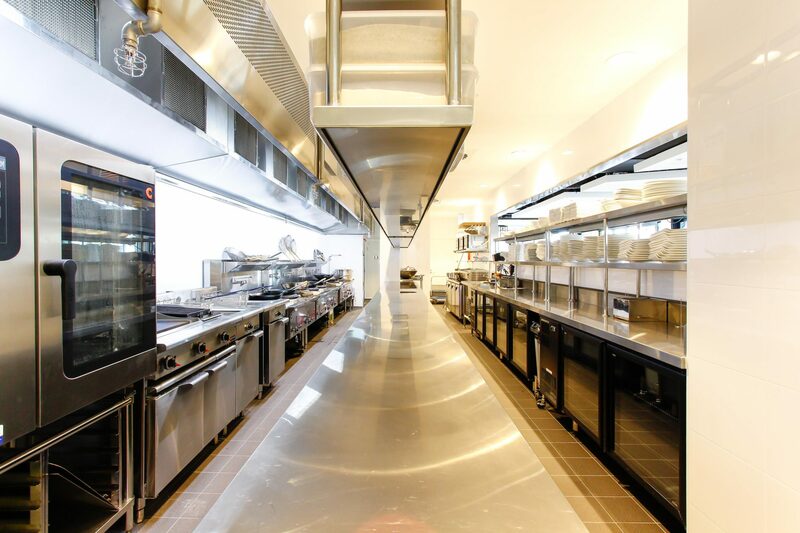 Scope of Work: Home to 368 guest rooms, a 75-seat haven lounge and Guy Grossi’s first restaurant outside of Victoria, Garum, Perth’s new Westin Hotel located in the heart of the historic east end of the city is now equipped with a variety of our Simply Stainless modular system. Westin Perth’s signature restaurant Garum and the convention centre that caters to nine venues across 2,300 square metres of event space are fully equipped to successfully provide for as many guests as possible. Product Required: Pipe wall shelves, double bench over shelves, infill benches, sink benches, island benches, gastronorm trolleys, drawers, etc. 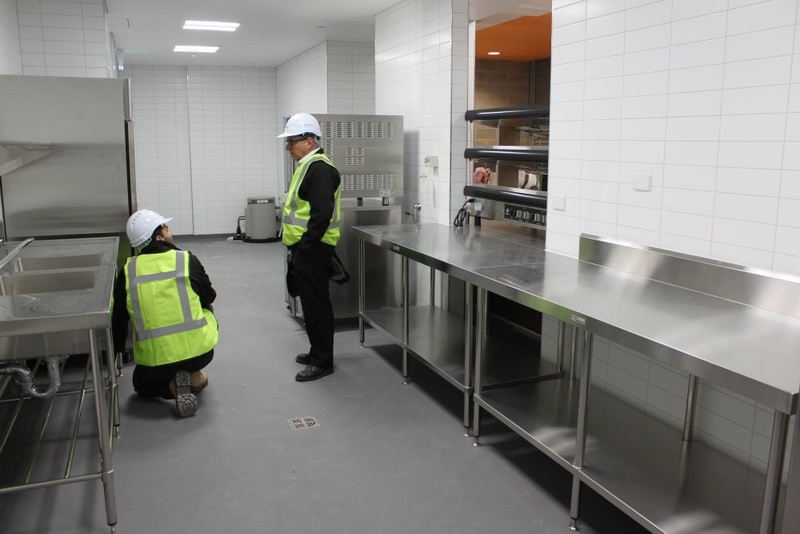 Scope of Work: The Simply Stainless system was utilised in over 90 food and beverage concessions within the stadium. The stadium operators required heavy-duty and durable preparation stations that could facilitate food in large volume (for 60,000 people if at capacity). With restricted site access and short installation windows that had to be adhered to, Simply provided the perfect solution due to its straightforward self-assembly process. 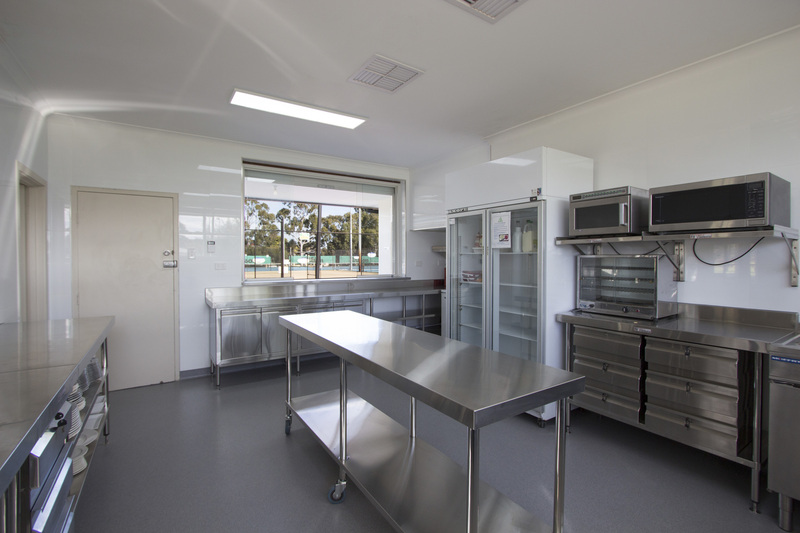 Scope of Work: There were two separate facilities that needed to be installed at Armadale SHS. The first was the home economics room and the second a kitchen for the tuckshop. 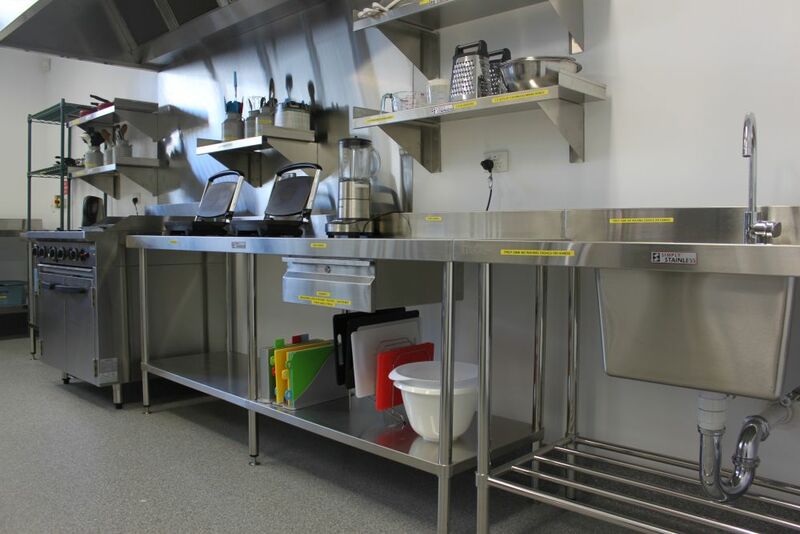 The home economics facility needed an extremely functional kitchen system able to accommodate wear and tear of any kind from students as they learned skills necessary to cook fresh meals. Our stainless steel modular system was the right fit for the job. Product Required: work tables, sink benches, wall shelves, etc. Scope of Work: 8 On The Point desired to establish themselves as the premium Asian restaurant in Australia. 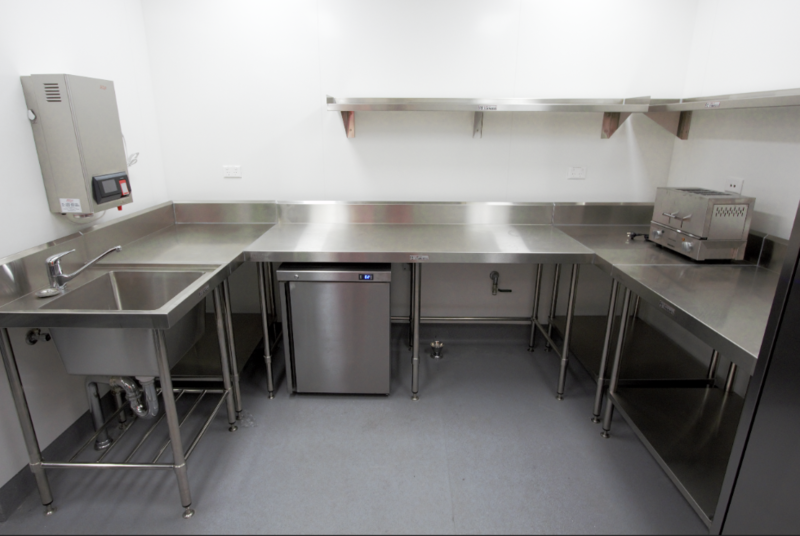 With limited kitchen space, due to the location of the venue (Point Fraser East Perth), they needed a quick turnaround modular stainless steel solution to suit a restricted floor plan. By providing next day delivery, ease of access and installation, and quality construction we were able to help them achieve this vision. Product Required: Pipe wall shelves, double bench over shelves, infill benches, etc. Scope of Work: Deli Italia is a European smallgoods retailer specialising in delicious, fresh Italian produce. The deli required heavy duty work tabling system to handle the weight and operation of substantial meat slicing equipment. 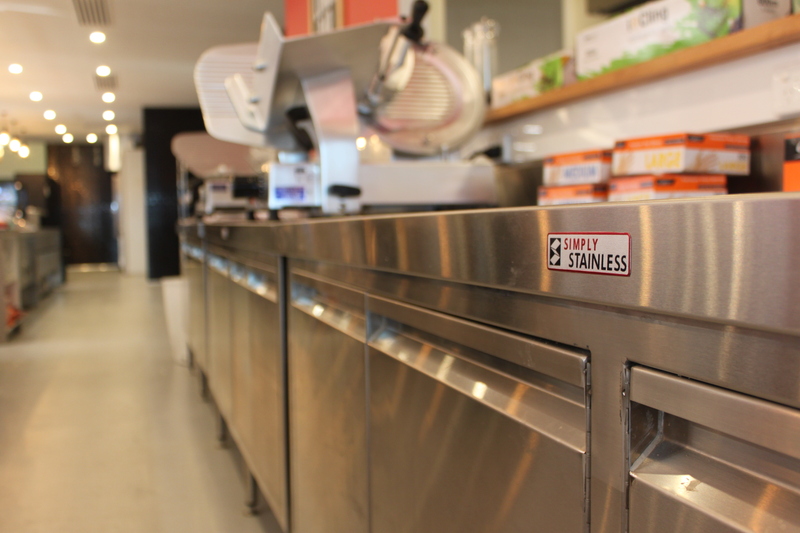 Given our standard 1.2mm gauge used throughout all construction of Simply Stainless product, in addition to the 3mm zinc anneal core found within all of our stainless steel work tables, the required work table strength for this project was all but guaranteed. Product Required: Door panel kits, work tables, dish wash inlet bench with sink, leg braces, wall shelves, etc. 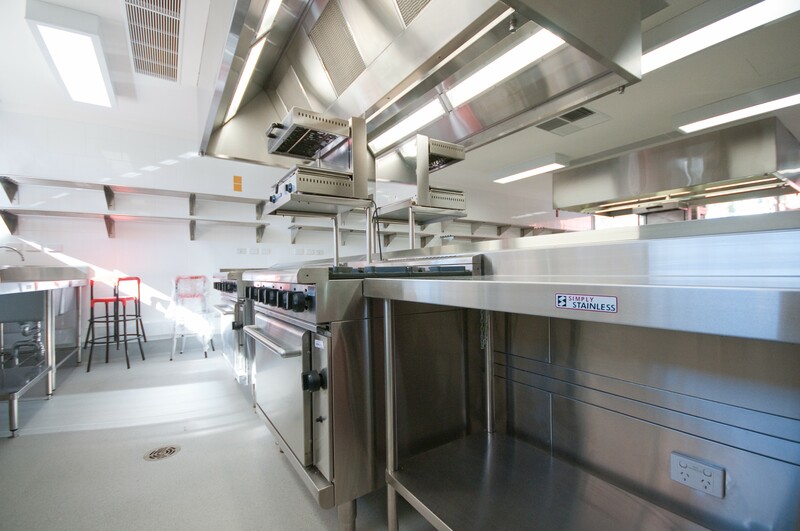 Scope of Work: Reabold Tennis Club wanted to modernise their existing domestic kitchen environment into a fully functioning commercial kitchen to keep up with the rapid increase of output and volume required as the number of club members grew. 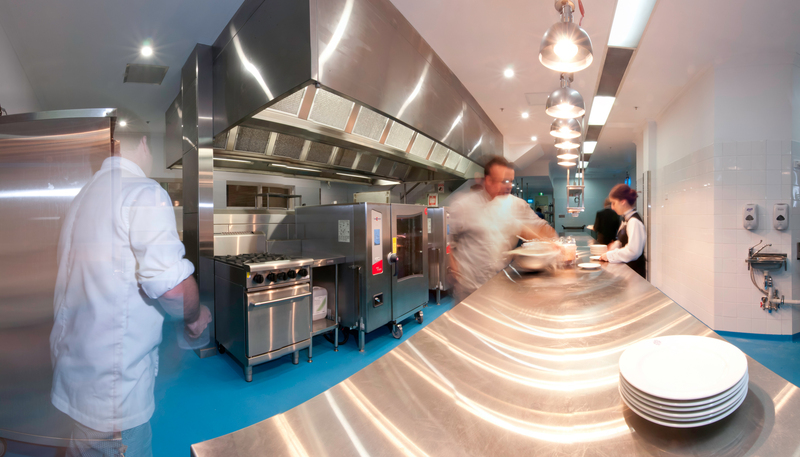 We wanted to ensure that they remained in line with Australian food and safety standards and therefore needed to replace existing wooden and melamine preparation areas with commercial grade stainless steel. Product Required: Work tables, mobile work benches, stainless steel drawer systems, door panel kits, island tables, complete wash-up station, wall shelves, wall cupboards, etc. Scope of Work: The Jimblebar Mine project consisted of the establishment and construction of a 2000-man work camp in the northwest of Australia, approximately 1500km from Perth. Rural location and harsh weather environments required the installation of high-quality durable equipment. Given the modular nature our system, the high stock levels available, and the ease of assembly and transport, our range was perfect for such a remote project. Product Required: Wall tables, island tables, sink units, wall shelves, gantries, tier trolleys, cabinet fixing brackets, granite benches, stainless steel drawer systems, combi oven stands, etc.